Google Flights is my favorite tool to look for flights. Just enter your travel dates, hit ‘explore destinations’ and Google will show you a map where you can travel for the lowest price. Once you have found the flights you want to book, make sure to check Momondo to ensure you book at the lowest price. Read more tips & tricks to book cheap flights. You can score fantastic hotel deals with a wide range of tips & tricks which I’ve written about before. The absolute minimum effort you should make before finalizing your hotel booking is comparing hotel rates via an aggregator. HotelsCombined and Trivago are reliable ones. Still haven’t tried Airbnb yet? You can now get up to €77 discount! I often use Airbnb when regular accommodation is not available or too expensive. New users can now book any accommodation with €30 discount using my Airbnb referral link. On top of that, both new and existing users can earn €47 Airbnb credit for a ‘business’ stay. Be prepared for when things go wrong. Install the EU Commission Passenger Rights app. It provides you will all possible transportation scenarios where things can go wrong (air, rail, ship or bus) and what your rights are. Another fantastic app is Rome2Rio. It provides you with all transportation options between two points including how much they would cost. For example, it would tell you how to get from the airport to your hotel (train, bus, boat, taxi, uber, …) include the estimated price and even link to the bus, train or boat schedules…. it works like magic! Also don’t forget to install the Uber app and its most popular clones. I use Uber (Worldwide – €10 off first ride) Gett (UK – £50 of free credit) and Grab (Southeast Asia). Did you know you can earn airline miles even when shopping groceries or buying gas? Make sure to pay as much possible with your Brussels Airlines American Express card (Euro payments only, use Revolut for foreign currencies!). You can redeem the earned Miles & More miles for Business or First Class flights you would normally not be able to afford. Why not try Lufthansa First Class? For as little as 62000 miles you can fly First Class to the Middle-East! Not yet collecting airlines miles and hotel points? The beginning of the year is a great time start! Sign-up for your favorite airline and hotel’s loyalty programs now. The good news is you can track all your loyalty program balances with one tool, AwardWallet. Enter your airline and hotel loyalty card numbers and AwardWallet will take care of the rest. You’ll even get email notifications when points or miles are about to expire. Use promo code free-shadir for a free upgrade to an AwardWallet Plus account. I’m confident several of these tips & tricks will make your travel more affordable and enjoyable in 2017. Do you already have trips booked for 2017? Any tips & tricks you want the share with us? Please let us know in the comments section below. I wish you all happy & safe travels in 2017! Fantastic tips. I think I will download the Know your rights and Rome 2 Rome app. I haven’t used Wikivoyage yet but will check it out. Thanks for the suggestions. Thanks for your feedback Mike! Another tip: I just installed the Google Tips app. Also a very nice app for planning your (city)trips. It automatically collects reservation data from your gmail account. 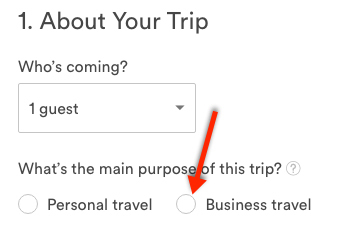 Just wonder how you claim the airbnb ‘business’ referral credit? There’s no link to your account? Nice! I’ll try. Thanks. Btw, I also used google trips recently, just like the other commenter and it works great. Booking with hotel.com (if your usual hotel chain is not available) can earn you a free night. They also have a loyalty program and we use it if their prices are lox and there’s no other program we’re member of. This year we’re heading for tokyo, just started to look for tips. Many thanks, great tips.,frantastic !!!!! Bart, what SIM card/cellphone plan do you use when travelling? Thanks for this list and everything you write on the blog! Thanks Bart, fantastic information from a wonderfull looking man!! Ik ga hier toch ook eens meer en meer gebruik van beginnen maken. Merci he! Thanks for your feedback Yannick. Happy travels! Hi Bart, heb je ook tips voor goede prijs/kwaliteit huurwagens? Thanks, Bart! Great suggestions I will certainly look into. Thank you for your feedback Salvatore. Enjoy your travels! Hi Bart, Do you have any suggestion about upgrade option? For example I bought an economy class ticket , on the day I travel I ask airline ground staff for pay upgrade. Is that the best way to spend less for flying comfort? Hi Worapol, these days most airlines offer online upgrade options (e.g. via bidding) Check your airlines website for the upgrade options they offer. If you have any specific questions about a particular airline, feel free to let me know. Enjoy your (upgraded) flight! What very useful travel tips. I have bookmarked the link re car hire insurance as we are just about to book car hire. Thanks for your feedback Catterygirl. Have an awesome road trip! Great tips & tricks – Thanks! Did you ever use the Ukraine Airlines Best Price Guarantee? Is it easy to get the claim through? Hi Steeve, no, didn’t even realise it existed at UIA. Would be surprised if you would be able to submit a valid claim. Keep us updated!